What you value may be more important than what you own. To follow through on your commitments, to yourself, your family, and your ideals -- you need to think ahead. 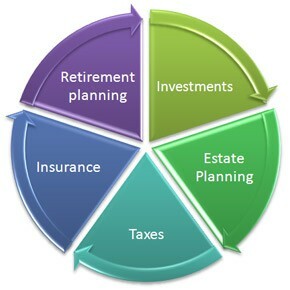 Grantor Retained Trusts - allows you to remove appreciating property from your estate thus reducing estate taxes. Once the property is transferred to the trust, the grantor (donor) retains interest in the property for the term specified. The grantor receives payments based on the value of the assets in the trust. The property, including any appreciation in value, passes to the beneficiaries without further gift or estate tax consequences. Charitable Remainder Trusts - allows you to donate property and assets to a trust and reserve an income stream in the trust for a specified period. The trust provides an income to you or any designated non-charitable beneficiaries with the remainder interest being transferred to a qualified charity at the end of the term. Charitable Lead Trusts - allows you to designate charities to receive an income stream during term of the trust. At the end of the term, the ultimate beneficiaries are your heirs. #Securities offered through NYLIFE Securities LLC. (member FINRA/SIPC). *Neither Steven Belcher, Belcher & Company, Eagle Strategies LLC nor any of its affiliates provide legal, tax or accounting advice. Please contact your own advisors for more information on your particular situation.